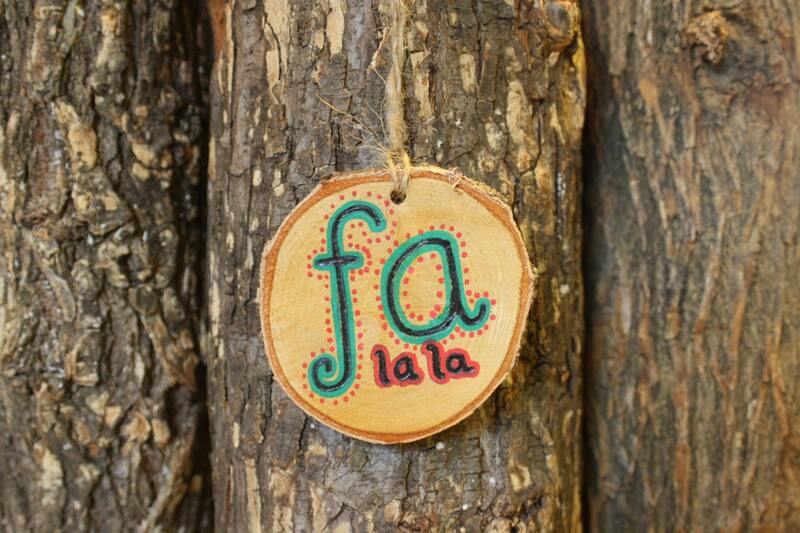 Gorgeous and fun "Fa La La" ornament that will look perfect on your Christmas tree or someone else's. 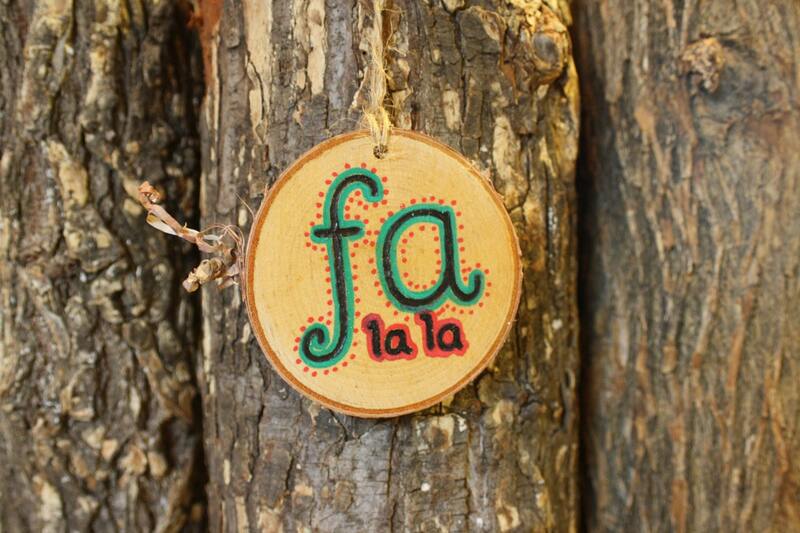 This rustic log slice ornament is handmade and woodburned by hand by me. I added a bit of paint for some color.